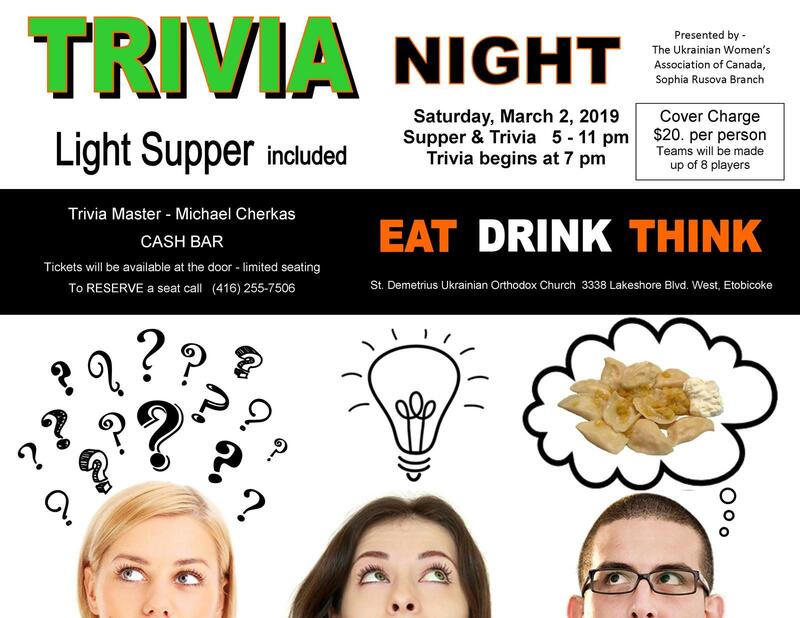 On Saturday March 2nd, the Ukrainian Women’s Association of Canada (Sophia Rusova Branch) at St. Demetrius Ukrainian Orthodox Church, will be hosting a Supper and Trivia Night at St. Demetrius U.O.C. Event starts at 5pm in the church hall. Trivia starts at 7pm. $20 per person. Everyone welcome!